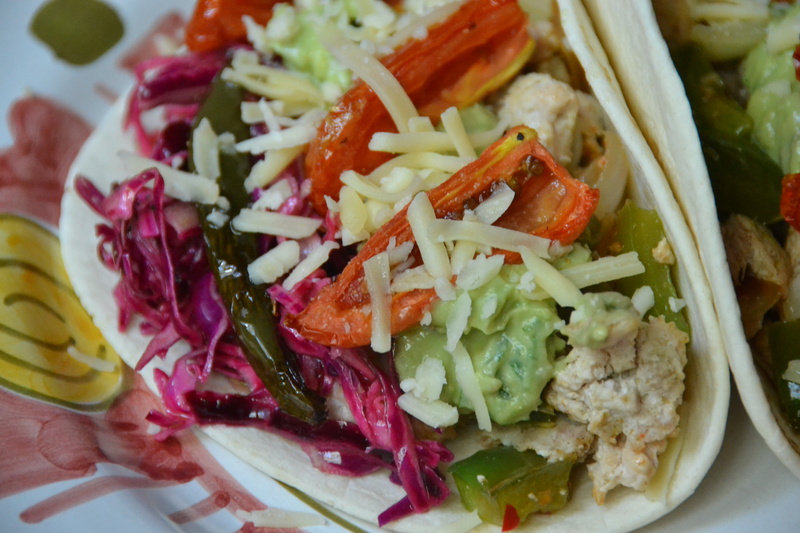 I made these chicken tacos for Cinco de Mayo last week and they were a big hit. They’re piled high with chicken, roasted tomatoes and jalapeños and purple cabbage slaw and topped with a creamy avocado sauce and queso fresco. I love the caramelized, robust flavor of roasted tomatoes and they’re a nice substitute for salsa in a dish like this.